Harvesters Wanted: SELF-RIGHTEOUS OR GOD-RIGHTEOUS? It is just amazing to see so many of you here to celebrate Saint Valentine! I just can't imagine how this happened. 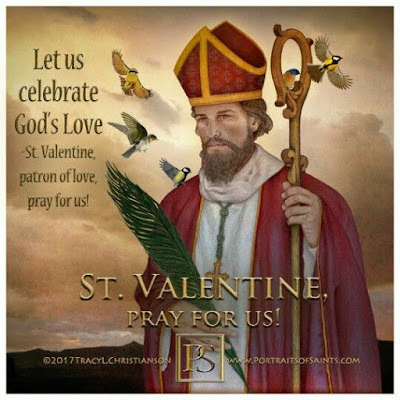 Saint Valentine, you may may or may not know, because it is Saint Valentine's Day, even though, because of changes in the liturgical calendar, many more secular celebrations of Valentine actually take place than religious celebrations. 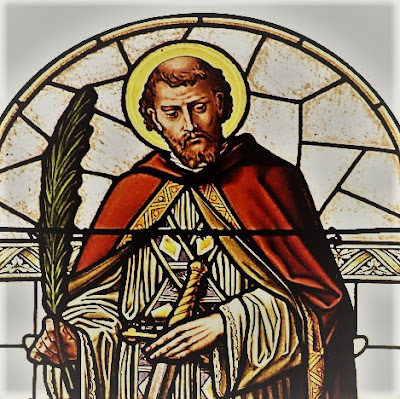 His saint day was today and it was celebrated throughout the universal church before Vatican II when much of the calendar was kind of uncluttered. In this way many of the minor Saints didn't get demoted, per-se, but their celebrations were kept on particular country’s liturgical calendars and removed from the universal calendar. But make no mistake about it: Saint Valentine, as Saint Valentine, doesn't care. He doesn't care at all. He lived for CHRIST, and he died for CHRIST - that is what he cares about. 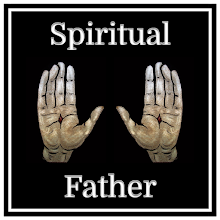 He does not miss those days when his feast was more widely celebrated, and I doubt he really bemoans the fact that it has become a secular holiday especially now that he is with CHRIST for all eternity: the one whom he loved and longed for. He probably would prefer that his memory lead others to CHRIST, but ultimately he has done his part. Truly, as corny as it may sound, life really is all about love. Our Gospel for today reminds us not to be righteous and as a teenager, a few years ago, I was from time to time reminded by my mother that I was being self-righteous and that of course is a bad thing. To be self righteous is to assume that we know everything, that it's all about us, that we are the source of our own greatness. We become our own source of understanding - we make it happen, all the things that the world tries to convince us of. But it's not our own righteousness that brings us here today, and it's not out of our own righteousness that we pray, and we give alms, and we fast. It is not out of our own righteousness that we wear these ashes on our foreheads. If we were doing it for our own righteousness I would imagine we would do it more for all 40 days of Lent! 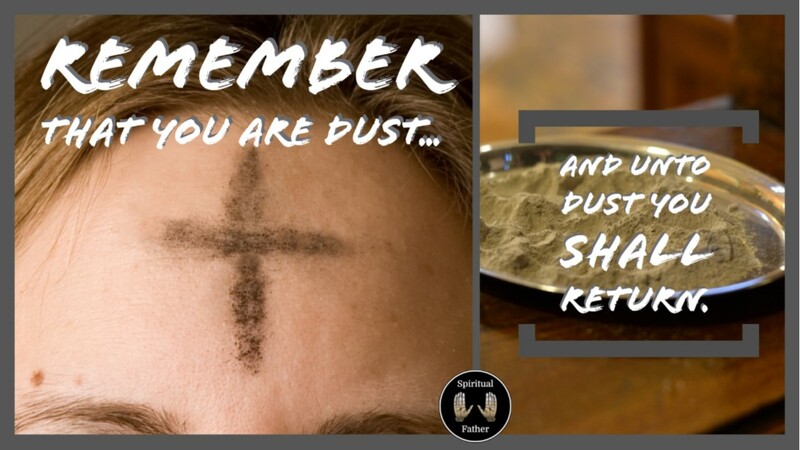 We wear ashes for the start to remind ourselves, and others, that this is an important time in our faith. This is important time as a community to remember the one who loved us so much to go out of GOD’s way to travel this far to become one of us and ultimately to die for us. That is a sign of love and by it we are made for righteous. Righteousness in itself is not necessarily bad. GOD is righteous. GOD is right, always perfectly right and just, and so we take part in that. We are made righteous, we are made holy by following the ways of GOD. And so I ask you, if the same Roman soldiers who came for Saint Valentine almost two thousand years ago, if they came and searched your room, your apartment, your vehicle, your bag, maybe even your pockets would they find reason to convict you? Would they find enough evidence of your faith in GOD, in CHRIST JESUS, to sentence you to death? Now we don't know everything about Saint Valentine, and it is very difficult at this time to separate historical fact from legend, but we understand that the soldiers bludgeoned him to death with a club. They tortured him and beheaded him. They buried him in an unmarked grave and his followers, those who desired to respect his sacrifice, went under the cover of darkness - for fear of their own brutal execution, to dig him up and give him a proper burial. Are you prepared for something similar? Some say that it couldn't happen again, we say that we're far from that, but have we really advanced that much? I don't know, some days I really don't think we’ve come nearly as far as we think. We wear these ashes, not for our own righteousness, but to remind others that God sees fit to make sinners like you and me, hypocrites like you and me, to make us righteous in HIS eyes. Because HE died for you, just as much as HE died for me, just as he died for St. Valentine, Mother Teresa, John Paul II and all the rest. HE died for you and for me to make us righteous, to bring us to the fullness of what we are called to be. 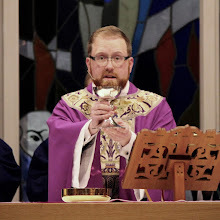 Today we wear ashes and for the next 40 days we pray, we fast, and we give alms to remind ourselves that all of that stuff that draws our attention so very easily is not really worth it. With this celebration we are talking about our eternal happiness. Let us lift up that desire to God who makes us righteous in his eyes.